Do you remember the foxy scarf I wrote about a couple of days ago? 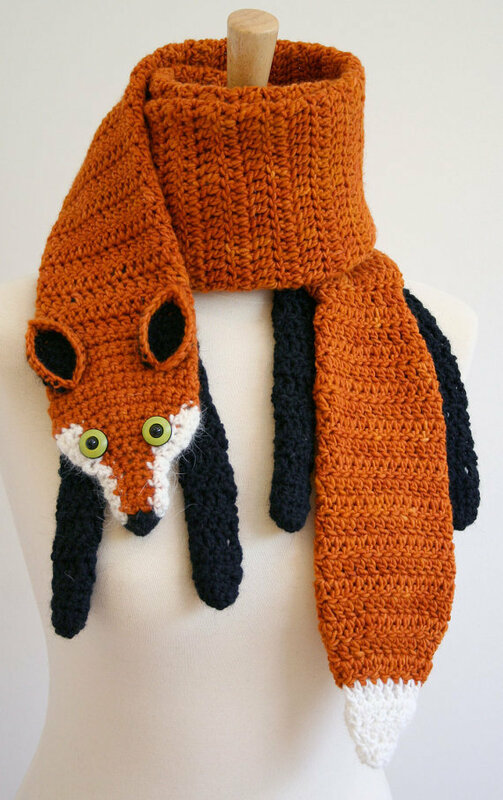 I just found an other super cute crocheted fox scarf from the BeesKneesKnitting Etsy shop. They even have lots of other animal scarves such as raccoons seals, dogs, moose and pigs. They are great for people who actually know how to crochet (unlike me). The rest of us can just gape in amazement!